Dollish Polish Hip Hop Hippity Hop was released spring 2012 for Easter Collection. 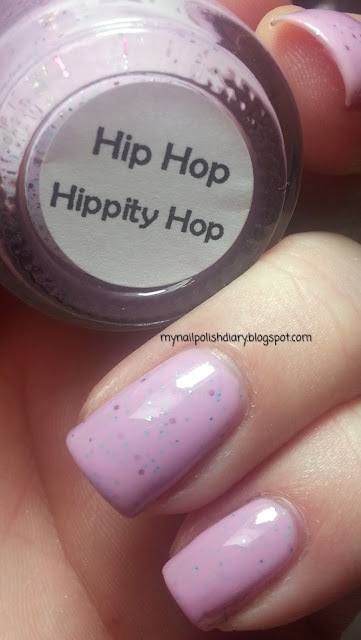 HHHH is a lavender pink creme with green blue and pink glitter. It's perfect for Easter. It looks like a candy egg. Application and wear were just fine. This is such a fun polish.